Designed and made by artist Lizzie Coles, we are excited to be debuting 4 Prints in collaboration with Lizzie Coles to celebrate the launch of the Rockett St George Paint Collection. 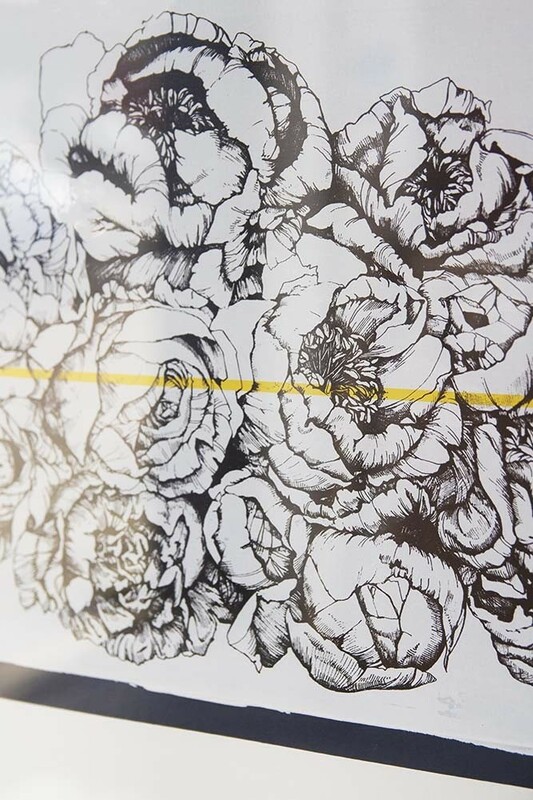 We commissioned Lizzie Coles to produce a collection of art pieces celebrating our beautiful wall paints with her detailed drawings of flowers and abstract expressionist backgrounds. The Floral Landscape Artwork is printed on Canaletto 300gms Paper and measures 70cm x 100cm. The Landscape Flower Art Print comes framed and has a 7-14 day delivery lead time. As customers of Rockett St George we know that you have an eye for original, one-of-a-kind pieces. 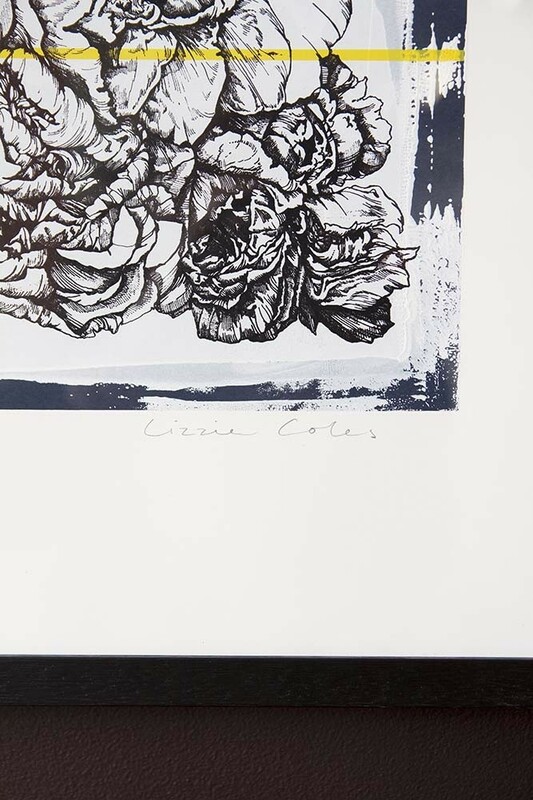 The Hand Screen Printed Floral Portobello Art Print is uniquely beautiful and that’s why we think you will particularly love this artwork. 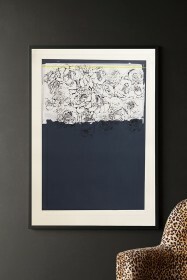 Statement artwork at it’s very best, the Framed Dark Blue Floral Print could be displayed alone or as part of your picture wall. 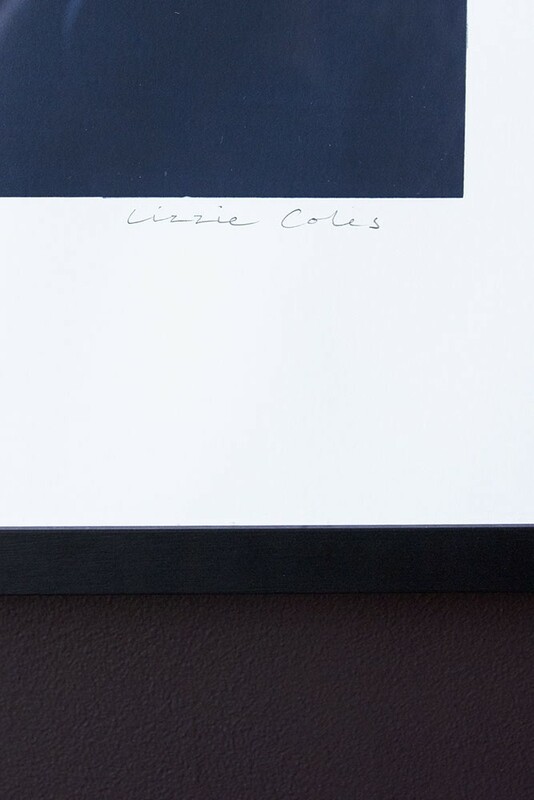 For the ultimate striking look, hang your Lizzie Coles Art Print above your fireplace, mantelpieces and bed. 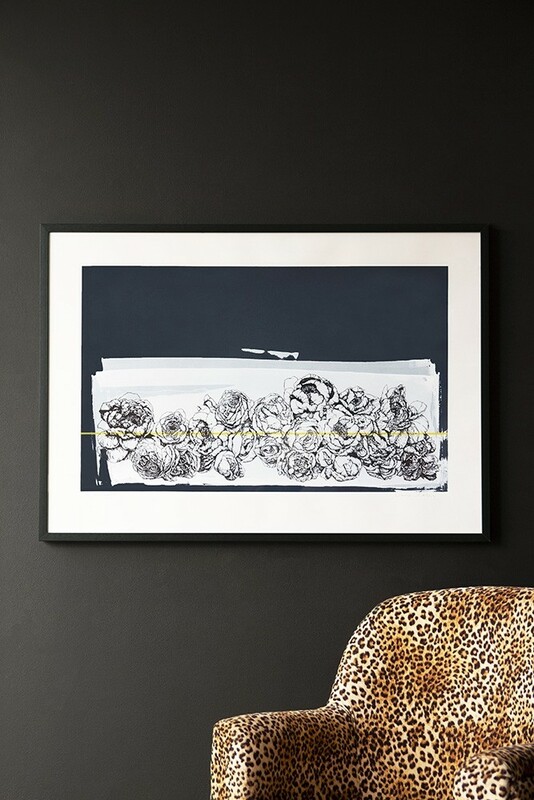 Alternatively, this striking abstract flower wall art could be combined with your favourite prints to create a gallery wall. Easy to do, we recommend laying and arranging all of your art prints on the floor in your set formation. Once you are happy with the formation measure the distance between each print and hammer nails into your wall accordingly. Lastly hang your artwork on the wall and stand back and admire your display! This item is bespokely framed just for you & therefore will take 2-3 weeks to be delivered.